Last time we saw anything from Vector Sigma Creations’ Weaselhammer, he’d made a weapon from the future in the form of the M-12 Locust submachine gun from the Mass Effect games. This time, he goes back into the past and crafts a swell looking machine gun from BioShock Infinite. 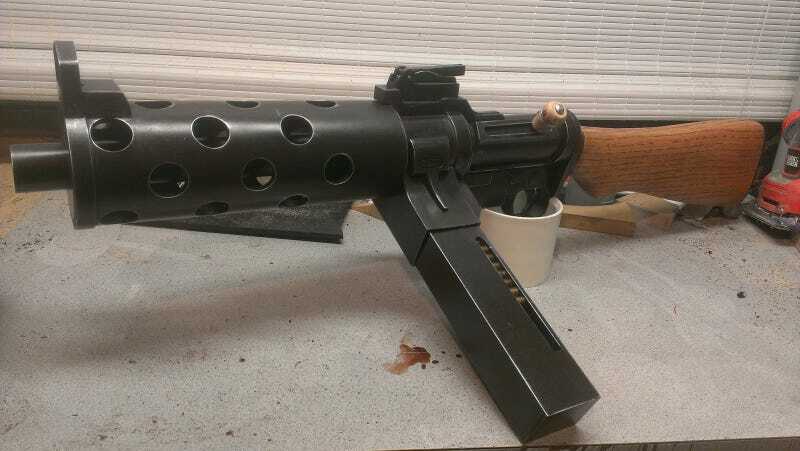 The Triple R Repeater wasn’t my favorite weapon in the game but damn if it doesn’t look impressive as a real-world object. Take a look at how the final product came together over at his blog.